Fandango launches early screenings of 'How to Train Your Dragon 3' – AiPT! 1,000 theaters and 40 exhibition circuits are participating. Fandango has informed us of early screenings of How to Train Your Dragon: The Hidden World — three weeks early, to be exact. Tickets are on sale now on Fandango, and you can see the film on February 2nd. Be sure to visit Fandango.com for the latest on this and other deals. Exactly 1,000 theaters and 40 exhibition circuits are participating. Exclusive early access screenings will take place in select AMC Theatres, Regal Cinemas, Cinemark Theatres and Marcus Theatres. The Hidden World will also be shown at certain Harkins Theatres, B & B Theatres, National Amusements and Southern Theatres. Many other theatres and screens will be showing the film. Fandango VIP members who buy tickets for these early access screenings will not only get to see the film early, but they’ll also receive a free DreamWorks Animation film to stream through FandangoNOW, Fandango’s video streaming service. Fandango Managing Editor Erik Davis said, ”Moviegoers are looking for an epic adventure that the whole family can enjoy, and it’s exciting that Fandango and DreamWorks Animation are giving fans the rare chance to see one of the year’s most anticipated movies three weeks early”. 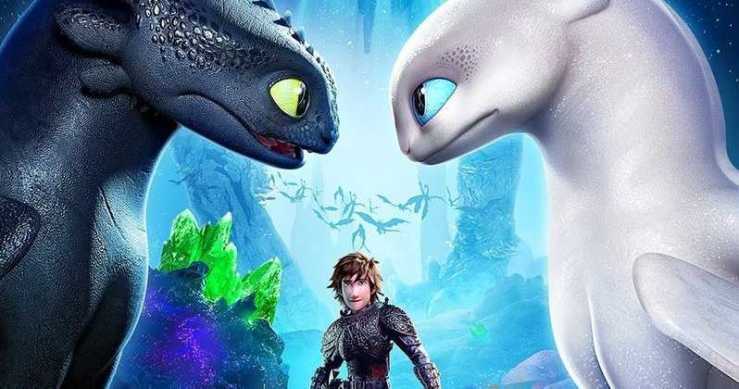 HTTYD 3 has been voted one of the most anticipated animated films of 2019 by more than 3,500 film fans. In the film, it continues the unlikely friendship between Viking boy Hiccup and dragon Toothless. The duo and friend Astrid discover a hidden world of dragons thought only to exist in myth. For every film ticket purchased on Fandango, VIP members can receive 125 points. Once members reach 500 Points, they’ll receive a $5 reward that can be used for more films, whether purchasing films digitally, or for future film tickets. How to Train Your Dragon: The Hidden World will release on February 19th, 2019.